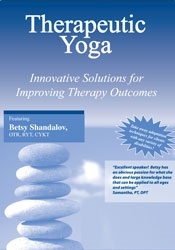 Betsy Shandalov, OTR/L, C-IAYT​, has been an Occupational Therapist since 1992. She received her Bachelor of Science in Occupational Therapy from Boston University. She has worked in adult acute care at Duke University Medical Center in Durham, NC. Ms. Shandalov also has worked in rehabilitation and community re-entry at Shepherd Center in Atlanta, GA as a clinician, educator and supervisor. Ms. Shandalov has presented on multiple topics at the collegiate level to both undergraduate and graduate students in occupational therapy around the country. She moved to California and got her 200 hr. adult yoga teacher training with the focus on Iyengar yoga. Ms. Shandalov also received her certification as a yoga kids teacher and trainer with Yoga Kids International. 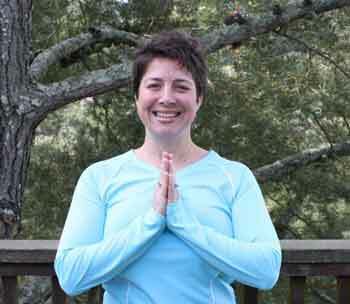 She now teaches Therapeutic Yoga to adults and kids in a variety of health care settings and treats people privately using yoga as her main therapeutic modality. She lectures at Wellness Events and promotes yoga as an untapped therapeutic modality in healing an existing injury and for injury prevention. In her practice, Ms. Shandalov draws from yoga's ancient philosophy of incorporating body, mind and spirit. She sees adults and kids with all ranges of diagnoses. Some are acutely ill and others have long standing disabilities or injuries. Ms. Shandalov combines her knowledge of western medicine with an integrative medicine approach. Her extensive knowledge of disease and disability in a variety of settings combines with her complementary yoga treatment to provide a new level of understanding of how the brain and the immune system can work together for natural and therapeutic healing. Financial: Betsy Shandalov is in private practice. She receives a speaking honorarium from PESI, Inc. Non-financial: Betsy Shandalov has no relevant non-financial relationship to disclose.